National Child Abuse Prevention Month is a time to acknowledge the importance of families and communities working together to prevent child abuse and neglect and to promote the social and emotional well-being of children and families. During the month of April and throughout the year, communities are encouraged to share child abuse and neglect prevention awareness strategies and activities and promote prevention across the country. The following timeline chronicles significant moments in child abuse prevention in the United States. Raising awareness for child abuse and neglect is a year round mission for CASA of Missoula. 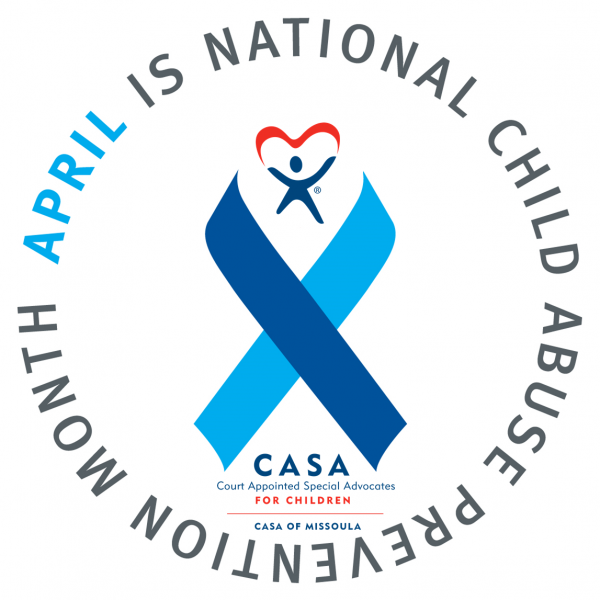 During the month of April, CASA of Missoula works with other local organizations such as The Parenting Place, to highlight National Child Abuse Prevention month. Stay tuned for April 2018 events. “Pin” a friend, family member or co-worker’s yard or business with a display of blue pinwheels. 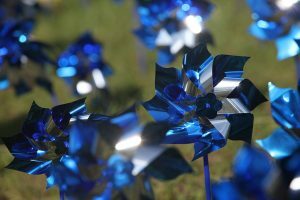 CASA of Missoula will team up with our philanthropy partner Kappa Alpha Theta to deliver a beautiful display of blue pinwheels to yards of individuals in the Missoula Community. Proceeds from each purchase will help CASA of Missoula recruit, train and support additional CASA volunteers to advocate on behalf of abused and neglected children in Missoula and Mineral County.